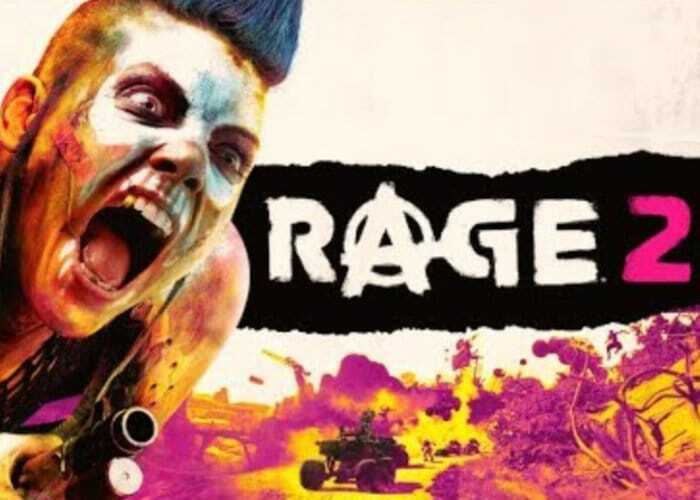 As expected Bethesda and developers Avalanche Studios has released a first look at the gameplay you can expect from the highly anticipated first person shooter sequel Rage 2. Check out the first look at the upcoming Rage 2 game in the video embedded below and expect more details to be made available during next month’s E3 2018 games event. “In RAGE 2, you’ll dive headfirst into a dystopian world devoid of society, law, and order. You can go anywhere, shoot anything, and explode everything. The game brings together two studio powerhouses – Avalanche Studios, masters of open world mayhem and id Software, gods of the first-person shooter – to deliver a carnival of carnage. It’s the perfect mix: id Software’s first-person shooter pedigree, Avalanche Studios’ mastery of the open world sandbox, with a healthy dose of pedal-to-the-metal vehicle combat. From the swamplands and jungles where enemies lurk among the dense foliage, to the open deserts where a passing car is more likely to mow you down than offer you a ride, the world of RAGE 2 is not a gentle, nurturing place. The people who have survived in this landscape have had to learn to protect themselves and keep their heads on a swivel, especially with the reemergence of a familiar menace. In the year 2185, humanity’s numbers are dwindling. Ruthless and bloodthirsty gangs roam the open roads and the tyrannical Authority seek to rule who remains with an iron fist. You are Walker, the last Ranger of the wasteland. Robbed of your home and left for dead, you’ll tear across an unforgiving wasteland battling bloodthirsty gangs to find the tools and tech needed to take the fight to The Authority and crush their oppressive rule once and for all! As soon as more details are announced or published regarding gameplay, features, characters and storyline for Rage 2 we will keep you up-to-date as always. Rage 2 will be launching on PlayStation 4, Xbox One and PC systems sometime in 2019. Tune into the BE3 Showcase on Sunday, June 10, at 6:30pm PT for more gameplay and details.